20. 12. 2006 - the concert at the Christmas market in the Old Town square in Prague. 19. 12. 2006 - concert in the lobby of the Mùstek B metro station - the concerts for the passengers are organised by the Transportation company of the capital city of Prague. 16. 12. 2006 - a concert of Cantarina and childern choir Coro Picolo in Dejvice. 12. 12. 2006 - Christmas concert of Cantarina and the vocal sextet Maleedivy in the Sv. Martin ve zdi church. 3. 12. 2006 - singing at the lighting of the christmas tree on the Prague Castle. 26. 11. 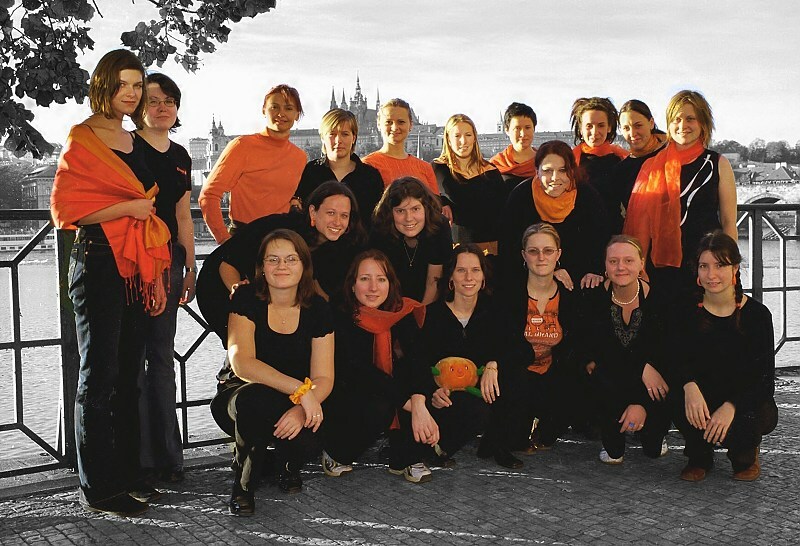 2006 - concert with Wits choir, Community centre of st. Prokop in Prague. Photos. 16. - 19. 11. 2006 - Slovakia: Topolèany, Ša¾a - Concerts with Caecilia chorus. Photos. 16. 9. 2006 - Spiritual Fest 2006. 24. - 25. 6. 2006 - Midsummer festival in Velké Losiny. Photos. 15. 6. 2006 - concert in Grébovka at the 100th anniversary of the foundation of Havlíèkovy sady. 26. - 28. 5. 2006 - Nechanice festival. Photos. 14. 5. 2006 - Karlínské spektrum - an individual concert. 1. 5. 2006 – Concert in the "Sv. Martin ve zdi" church in the Old town in Prague. Featuring: french choir Chorale du jeudi with choirmaster Fabien Planchon, Canratina - Women´s choir from Prague.